Swinging electric gates or sliding electric gates? In general terms, when you think of a pair of entrance gates to the property, invariably you are going to have a picture of a swinging gates in your mind. Bya swinging, we don’t mean gates that like to wear fancy clothes and listen to loud music, or that expect your guests to throw their car keys in a dish with everyone else’s whenever they come to visit! At times, there can be one inherent problem with swinging entrance gates, and that is that invariably you want gates to open inwards, but not everybody has a level driveway into their property. As a consequence, it is not always possible to have gates that open inwards and, from the safety aspect you should never have swinging gates that open into the road. Here at TPS Gates & Doors Ltd we are always very happy to come out and carry out a full site survey, free of charge, in order to advise you not only of the costs of installing new electric gates, but which would be the best type to fit based on their situation. 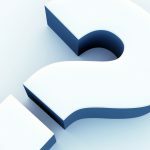 If you live in Bristol, Bath, Gloucester, Cheltenham, Cirencester, Chepstow, Newport, Clevedon or surrounding areas, why not give us a call and we’ll be happy to pay you a visit.So what is the solution? Strangely, the solution is very simple, yet one that doesn’t automatically cross everybody’s mind, and that is sliding electric gates. With sliding electric gates, it doesn’t matter what the topography surrounding your gateway is, on the basis that one can, in a worst-case scenario, create a trench either side of the gateway for sliding gates to channel along. 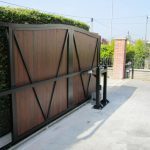 Sliding electric gates are not that much more expensive to fit and not only can they solve the problem created by an entrance driveway on a slope, but they can also work wonders if you are restricted on space and unable to close swinging electric gates once you have driven onto your property. Here at TPS Gates & Doors Ltd we are always very happy to come out and carry out a full site survey, free of charge, in order to advise you not only of the costs of installing new electric gates, but which would be the best type to fit based on their situation. If you live in Bristol, Bath, Gloucester, Cheltenham, Cirencester, Chepstow, Newport, Clevedon or surrounding areas, why not give us a call and we’ll be happy to pay you a visit.